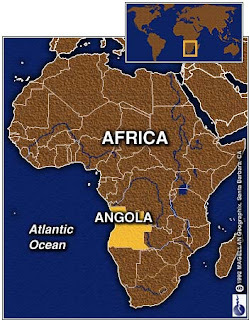 GENEVA/LONDON (Reuters) - Angola's oil exports will rise to around 1.74 million barrels per day (bpd) in November, a shipping list showed on Tuesday, leaving supplies virtually level with top African producer and fellow-OPEC member Nigeria. Nigeria is normally the continent's top exporter but a series of theft-related supply disruptions on key grades such as Bonny Light and Brass River have depressed flows onto international markets in recent months. In October, Nigeria is due to ship around 1.79 million bpd of oil, a shipping list showed, down from an average of over 2 million bpd last year, according to Reuters data. The drop amounts to a potential $700 million in lost monthly earnings versus the 2012 average, based on current Brent prices. In contrast, Angolan oil exports were up in October versus September when planned exports were 1.70 million bpd after repairs at the Saturno platform operated by BP. The oil major lifted a force majeure on this grade earlier this month and the October shipping list showed it would load five cargoes compared to four in September. A force majeure temporarily relieves a company from its contractual duties due to events beyond its control. Still, Angolan exports are falling short of a target of 2 million bpd set for 2013. Oil Minister Jose Botelho de Vasconcelos said in December that was unlikely and he has since been quoted as saying it may take place in 2014 or 2015. Nigeria has not yet released a figure for November exports although these may improve following Eni's lifting of its Brass force majeure on September 2. Shipping lists are provisional and can be revised closer to the loading date for exports.